If you own a business you will probably be aware of just how important it is to have good social media channels up and running to create a strong clientele. 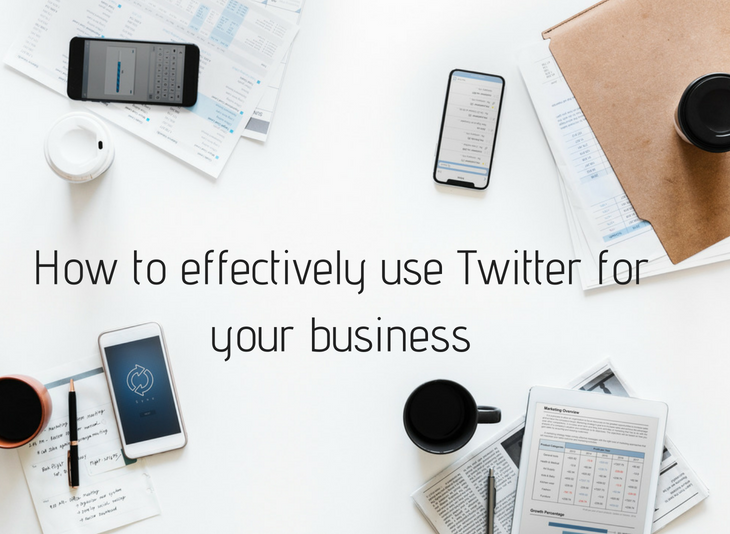 Twitter is one of the biggest social media platforms with 328 million users by the second quarter of 2017, it is now vital to have successful social media up and running if you want to grow your business, and I am here to help you understand how to use Twitter for business. Not every business has someone who is clued up on how to use social media platforms effectively so I have rounded up the best ways you can use Twitter to help grow your business, and if you follow these tips you should be well on your way to creating a successful Twitter account. All of your branding should be consistent throughout your social media channels and website so all of your profiles look the same and your customer will easily recognise you from one channel to another, it also helps you to look more professional and like you know what you’re doing (even if you don’t). So think about what you are setting as your profile picture and header and your username. Whilst you shouldn’t change your avatar too much, you can change your headers to suit. Maybe change them each season or to promote a special offer you have going on. Engaging with potential customers is a must when it comes to social media. There is no point just having a Twitter account and sending out content without it being properly thought out. Don’t just engage with anyone though they must be someone that fits into your target audience or product or whatever you are trying to sell or it won’t do anything for your business. You should be using the advanced search option on Twitter to help you find potential customers. Click To Tweet You can search for people within a certain geographic location so if you are wanting only local customers then that will be perfect for you. You can also search tweets by using keywords, if you are trying to sell a food product you could search for tweets including ‘hungry’ or similar and then send them a reply promoting your product. You can use your Twitter account as a customer service tool to respond to people who may be unhappy with your service or product; this is something consumers much prefer to do than sending an email where you might not get a response for a couple of weeks – people now want their replies instantly and Twitter is the perfect place for this. Creating lists is a useful way to split up the accounts you are following in a more effective way than just having them all on your timeline. You could create one for competitor companies so you could see what type of content they are sending out and also perhaps what offers they are promoting to try gain customers and you could easily adapt what is working for them to suit your business. Another list could be potential customers that you could try and target by seeing what they tweet about and perhaps just replying, this might get them to notice you and click on your profile. You can make lists private so only you know about the list and who is on there – perfect if you want to spy on competitors or keep your supplier accounts all in one place without anyone seeing who your suppliers are. When it comes to using Twitter for business tweeting frequently with engaging content is a must Click To Tweet People aren’t going to want to follow you if you are only tweeting a couple of times a month so you must make sure regular content is going out. But it must be content that would make people want to follow you. Use multimedia such as pictures, videos, gifs etc instead of just sticking to plain text tweets, as you are much more likely to grow your account with visually appealing content. Hashtags are a simple but clever technique to get people on your page but only when used properly and they must be relevant to what you are posting about. or people will just view it as spam and not bother reading. You could also try live tweeting when events are on using the specific hashtag for that event and trying to start a conversation. For example, #WorldCup2018 is very big at the moment. People will search the hashtag if it is an event they are interested in and they may end up on your page. You could create a poll under that specific hashtag to encourage people to interact with you. In various cities a hashtag is used on a specific night each week to talk about what is going on in the city so any problems, job vacancies or events coming up can be shared. Some of the hashtags for different cities are #HullHour #LondonHour depending on your city. As a business you should be getting involved in these to promote yourselves, they are very popular and a lot of people do take part in these hours. You can contact the person who runs them if there is anything you would like sharing in case you are not online when the hour is and they will schedule a tweet in for you or you could schedule one in yourself. HullHour has 8,617 followers which shows just how popular they are. And we find for our clients that content in Twitter hours performs better than other content. There is no point in having any social media account if you are not going to look at your stats but even more so if you are using Twitter for business purposes. Twitter analytics are what show you what is working and what isn’t. It is crucial you keep your eye on these as they tell you everything from when your followers are most active, so you know when to be posting. It also tells you how many people have viewed and engaged with individual tweets which gives you an idea of what content is working for you, and help you plan your future content. 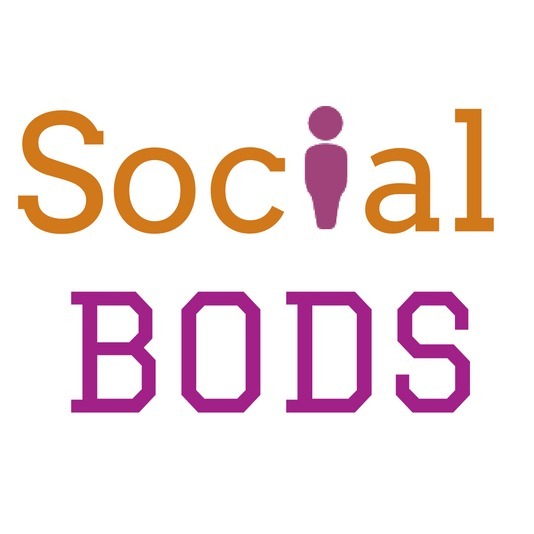 If you are wanting to delve more into how to use Twitter for Business then our very own Joanne here at Social Bods has written a book all about how to be more active on Twitter which can be purchased here.